MUMBAI: Total Dhamaal is one of the most awaited movies of 2019 considering tha mammoth star-cast and crazy comedy. While, one might think the music has little to do in comedies, think again. Total Dhamaal’s music is already picking up. After Paisa Hai Paisa, the producers have released the next song Mungada, a remake of one of the most iconic songs in the history of Hindi film music. Originally sung by Usha Mangeshkar, composed by Rajesh Roshan and pictured on Helen, this song from the movie Inkaar, is still a loved song. The song is pictured in the most glamorous set-up and features Sonakshi Sinha in what looks like a cameo. Beyond this track, Jyotica is at work and has recently released two independent songs. With the ongoing new wave in the music industry to revolutionize not just the music we listen but whose music we choose to listen, one can surely state with utmost confidence that Jyotica Tangri is here to stay for long. 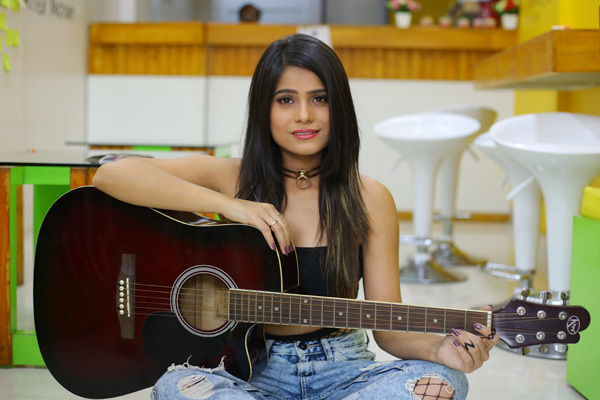 Jyotica Tangri of Pallo Latke fame recently came out with two new tracks Patola Lagdi and Kuchh Toh Hai in the last 10 days and both of them instantly became audiences favourite and a huge success. Jyotica is becoming a household name and her deliverance of one after another hit is leading to various music labels wanting to collaborate with her. Jyotica Tangri who has sung for hit movies like Behan Hogi Teri(2017), Shaadi Mein Zaroor Aana(2017) and Fukrey Returns also recently sang in Saif Ali Khan's Bazaar with IKKA for the song Kem Chho, which became hugely popular and has become a party anthem. Her latest Punjabi single Patola Lagdi with Kaptan Laadi and RDK under Zee Music label is trending on Saavn and the music video, featuring Jyotica herself is all set to cross the one million mark. The Sa Re Ga Ma Pa finalist also released another song after Patola Lagdi within a three-day time frame, apart from Kuchh Toh Hai with Yasser Desai, produced by Ajay Jaiswal under Zee Music Label. This single has been received extremely well by the audience and is still receiving more love. Jyotica had her say on this, "We shot in Nepal, which was extremely beautiful and lot of fun to shoot in. This is also my first full feature video so I am very excited." MUMBAI: It’s 2019 but Indian music industry continues to live in the shadow of Bollywood. If you don’t believe in these words, let’s have a look at a few facts. MUMBAI: Upcoming Bollywood movie, Kalank is making a humongous noise with its spectacular trailer and songs. Well, there was a buzz about the track being released today at 2 pm. But unfortunately, makers of the song/film have decided to release the song tomorrow. Birthday Special: Shahid Kapoor songs that made us get up and groove! MUMBAI: It’s Shahid Kapoor’s birthday today! The chocolate boy of Bollywood, who turned 38, has danced on some fabulous Bollywood numbers apart from his exceptional acting. After Hrithik, it is Shahid, who gave us some dancing goals until Tiger Shroff joined the league. MUMBAI: Avanie Joshi, an actor by profession and a musician by virtue of passion, has released her first song Future Soul. She has featured and sung in the song.